Dolce Finale, I Choose You! After a grueling exam, my friend and I decided to relax by enjoying some gelato. I was excited to come as I had seen it in passing on my walks around West campus. Its name is Dolce Finale and it is a new gelato shop that is joining the sweeping trend of cool creations to challenge the yogurt monopoly in Austin. 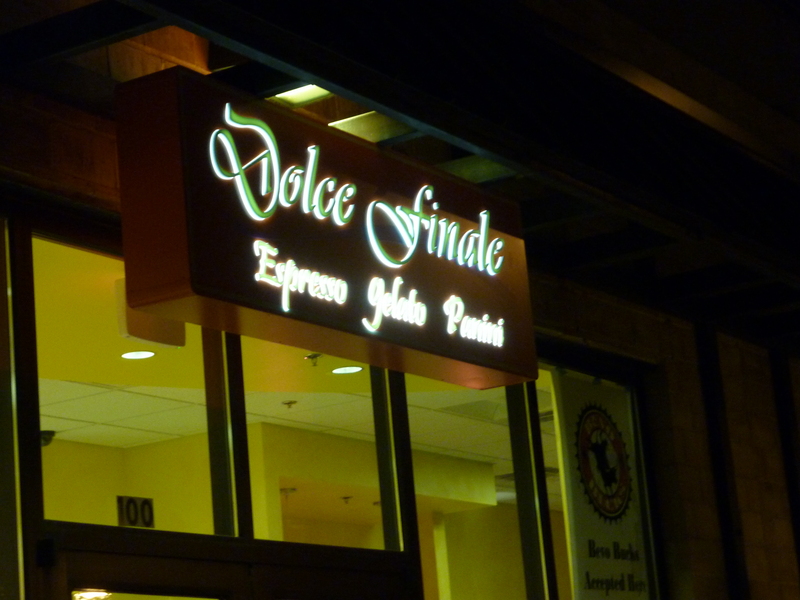 Dolce Finale is a gelato shop that focuses mainly on creating tasty gelato and a wide variety of flavors. It is vegan friendly, fresh, and can even be dairy free if necessary. It arrived on the scene in June and has since added itself to the list of Bevo Bucks merchants available around the city. 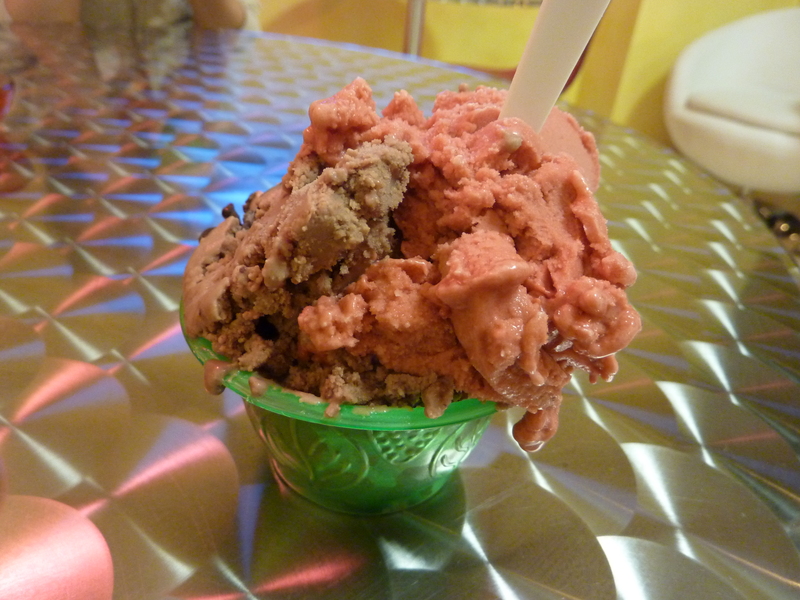 The menu is extensive, ranging from the gelato flavors to gelato creations such as smoothies and banana splits. There are even paninis and salads for mealtime. So what is the difference between gelato and its creamier counterparts like ice cream and yogurt? 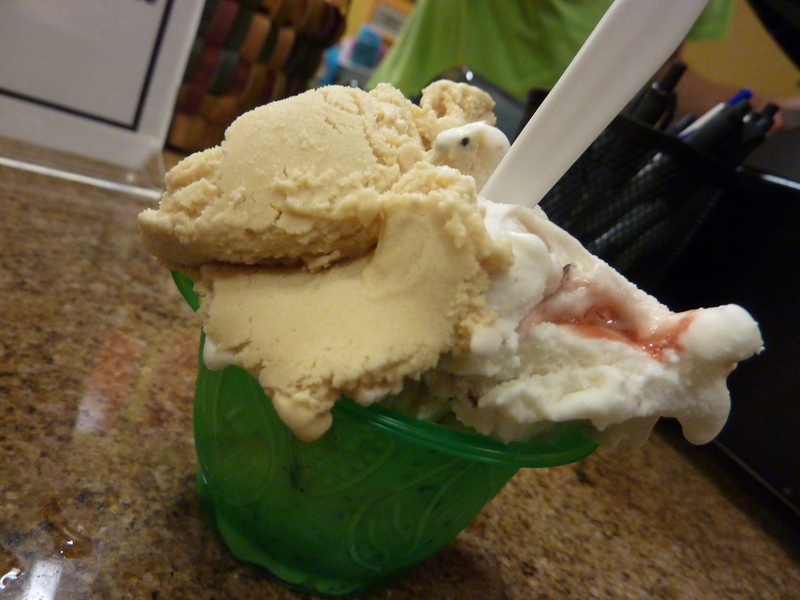 Basically, gelato is more about smooth texture, intense flavor, and more sugar-based. Ice cream is cream-based and tends to be airier. Yogurt, a popular favorite here in Austin, is more of a custard-base and contains special bacteria that can be h ealthy for your gut. 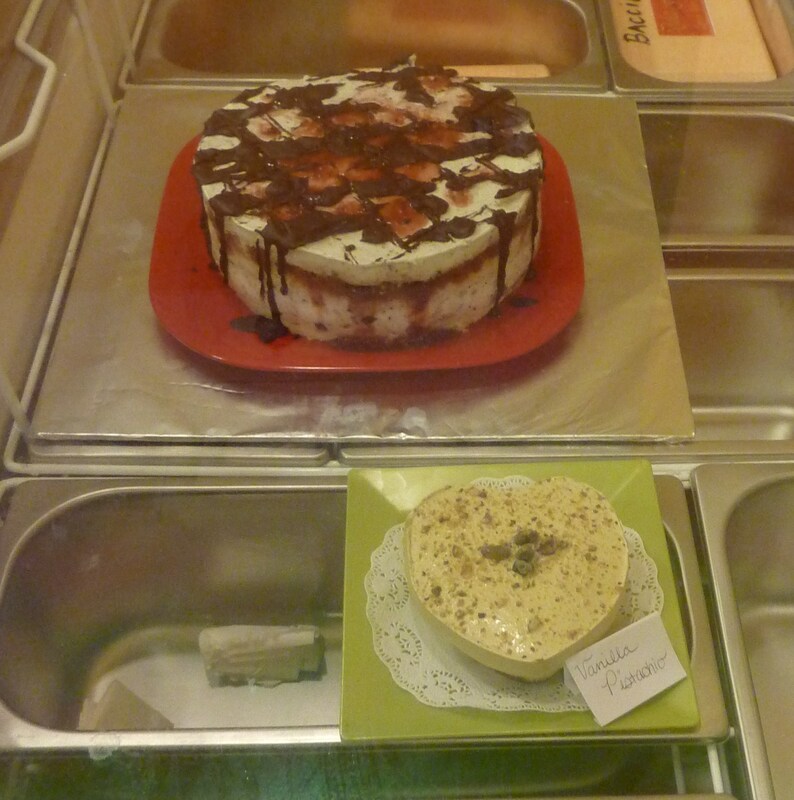 You can also find a history of gelato on the Dolce Finale website. 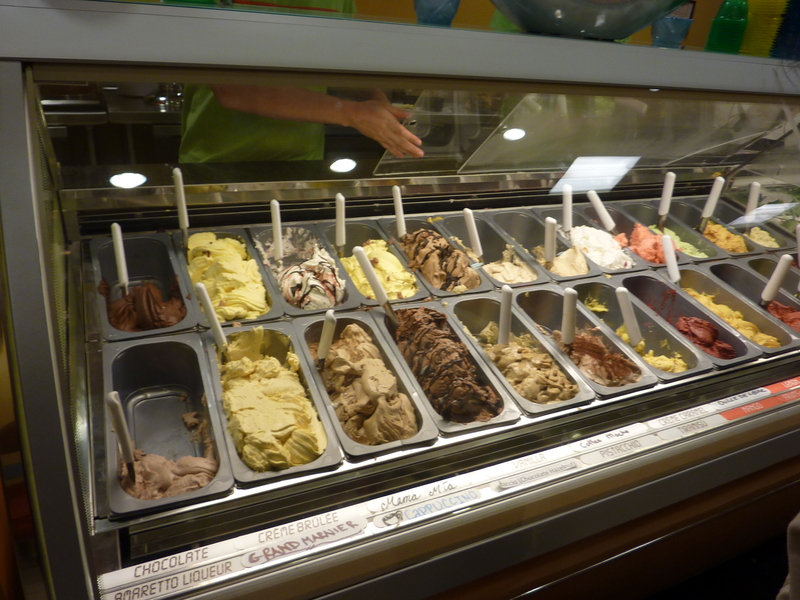 An impressive variety of gelato flavors are available at Dolce Finale. First, there are the creamy, more milk-based type like chocolate and mocha. However, there are also the fruity flavors like mango and lemon. 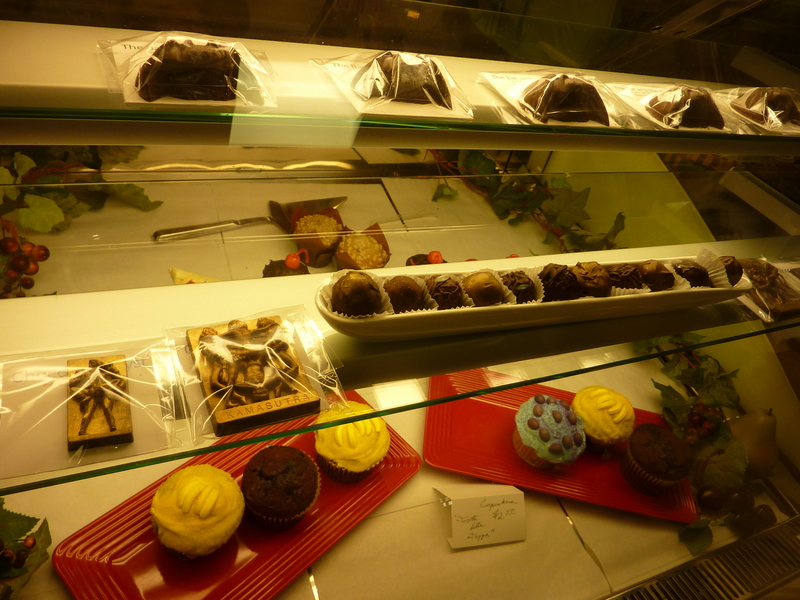 Much like ice cream specialty stores, Dolce Finale also offers such products as smoothies, banana splits, and even gelato cakes. Everything is also smaller as the pure taste from gelato is much more intense in a small amount in comparison to ice cream. If you have never been to a gelato place, the standard fare is a serving that is smaller than the usual ice cream and yogurt shops. However, the smaller cup emphasizes how the flavors are intense enough that a small serving is equal in taste and sugar rush to any regular size creamier variety. Usually you can get up to two flavors in a serving and for the larger set, you have the option of up to three. They also have unique chocolates, how can you not want to come try? Staff was super friendly and loved giving samples! They gave some great recommendations like the blood orange and house favorite, Mama Mia. They were also happy to tell us about Dolce Finale and why it’s such a great place for hanging out. I personally tried Blood Orange and Baccio (chocolate and hazelnut). My friend had her usual favorite of Mama Mia and then Dulce de Leche. I was really taken with both and though they did not blend as well together as I hoped, both were equally yummy. The blood orange was intense and sour, but also quite sweet. I love fruit and that is one of my favorite things about gelato shops is the amount of fruity flavors available. The Baccio was also sinfully delicious. Dark chocolate pieces are scattered in the serving, emphasizing the chocolatey flavor of the gelato as well as the hint of hazelnut that brings out the chocolate flavor. I would definitely be willing to try both again. The flavor, Mama Mia, actually seems to be a house specialty and one of their most popular flavors. It is more of a basic vanilla base with a slightly sour and very sweet overtones. The Dulce de Leche was also yummy, being more akin to a caramel-like flavor that was very sweet, but delicious. All the flavors I tried were quite yummy and the flavors available are rotating. The shop is also very inviting. Large windows line the outside and warm lighting livens the rather narrow store. The place is clean and very college-friendly. First, there is an amalgamation of different furniture and “couch seats” that are very inviting for hanging out. Huge flat-screen TVs are on either side and music plays in the background. The furniture is more retro and wi-fi is available. The place is very laptop-friendly with good wi-fi and lots of AC outlets. Open until 2am, this is definitely the place to be to hang out and enjoy being a college student. Rating: 😛 😛 😛 😛 ½. The place is cute, delicious, and uber-friendly! I have yet to try their other menu choices, but the gelato was definitely tasty and a refreshing change from yogurt. Come try this place out if you haven’t already!